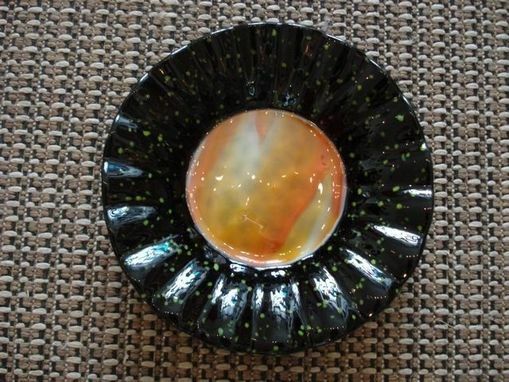 Usher the cosmos into your home with the majestic fused-glass Jupiter Bowl. 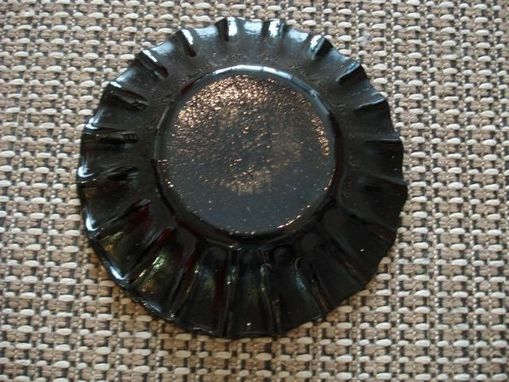 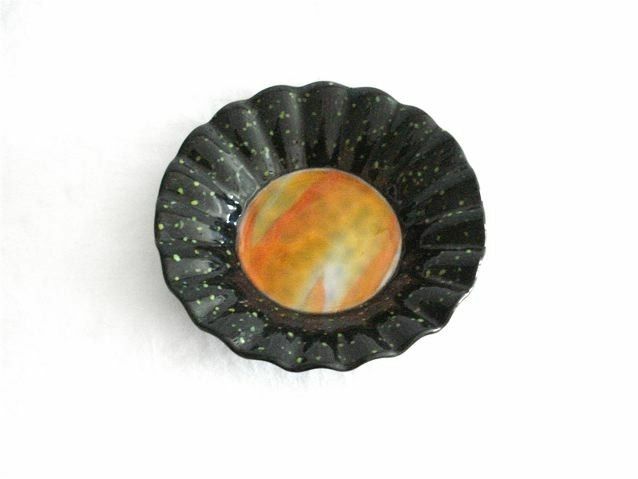 The center of the bowl is made of opaque orange glass with yellow and white streaks, and is bordered by glossy black glass flecked with lime green. 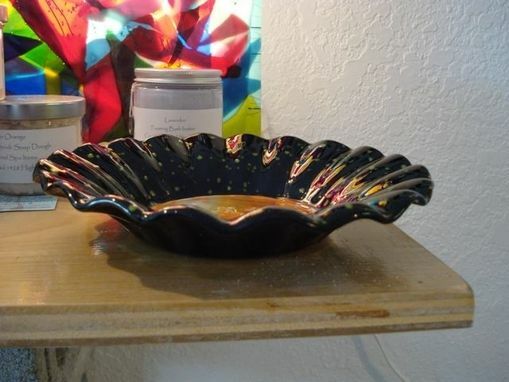 Twice fired to meld the border to the center and again to create scalloped borders and the bowl's slump, this handmade bowl measures 7 _'' across and about 1 1/2'' deep.